Here’s the hard and fast rule for people with sensitive skin: avoid facial products that foam. Sodium lauryl sulfate (SLS) is a popular foaming agent widely used in personal care products. 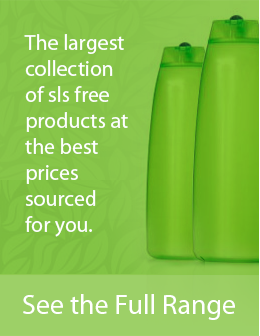 SLS is cheap, it’s a detergent, it will extract moisture from your skin, and it will irritate sensitive skin. There are numerous references on this site explaining why SLS-Free products are better for you to use. So therefore we need to look for facial washes that contain natural ingredients, and avoid the ones that have fragrances and detergents, like SLS. The best face wash for your sensitive skin will depend on the primary cause of your skin irritation. In this article we will take a look at the causes and list some great face wash products that come highly recommended for those of us with sensitive skin. There are hundreds of face wash products for sensitive skin to choose from. Knowing the cause of your sensitive skin will help you narrow down your selections and choose the best face wash for you. We have chosen some of the best products for sale, based on customer reviews, in three different categories. All of the products reviewed below are SLS-Free and can be used daily. Brave Soldier facial cleanser is a gentle product, and is safe for normal to sensitive skin. It uses natural ingredients and amino acids for removing grime, while also hydrating skin. The Eucalyptus invigorates skin and restores natural moisture. Light and non-greasy, Christina Moss face cleanser moisturizes and conditions skin with aloe and Vitamin E. It’s great for sensitive skin, and it protects against sun damage with SPF 30 sunscreen. It absorbs quickly and keeps skin hydrated all day long. It’s also safe for daily use. 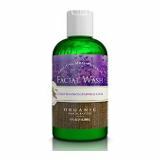 Eminence Organics doesn’t advertise this product for acne, but most customers using this product call it the best face wash for sensitive skin and acne. 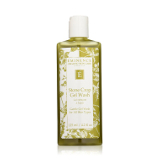 Eminence Organics Stone Crop Gel Wash is suitable all skin types. It can be used morning and night, it deep cleans and hydrates skin, and improves hyper-pigmentation (sun spots). Sensitive skin can be attributed to many things. Food allergies, environmental conditions, and medications top the list of causes for sensitive skin. Genetics can also play a role in contributing to your skin’s sensitivity. It’s important to understand what is causing your skin to be irritated, because then you can know what to avoid. Your face is always exposed to the elements and it takes the brunt end of environmental toxins, sun exposure, dirt, dust, and many other contaminants. If the tissue breaks down, then you have what is called impaired barrier function. Your skin loses its ability to retain water and protect nerve endings from irritation. Allergen particles and other irritants penetrate your skin and cause inflammation, which in effect causes sensitive skin. It’s fascinating to know, but how does all this information help you? Well if you’re out in the sun a lot then you may want a face wash with SPF protection. And if you live in a dry climate, then you may want to buy a face moisturizer for sensitive skin. Taking care of your face, especially if you have sensitive skin, is very important. Start by using a face wash that will heal your face, without irritating it. Doing so will help you avoid skin damage such as Rosacea or even skin cancer.